A Miracle Prayer: Can we achieve it? 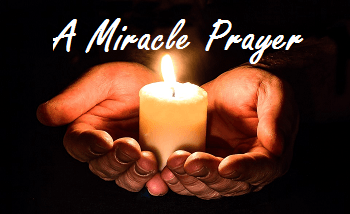 A Miracle Prayer – Can we achieve it? Have you ever critically asked yourself why miracles are happening in the lives of other people yet you have seen none? Have you wondered what makes them so special to an extent that such miracles bless their lives? If these two questions are puzzling you, you need not worry since after the end of reading this article, you will be certain that miracles will soon come your way. Miracle prayers are not the preserve of the chosen few. Everyone can, though this ability depends on their faith. However, other people think the ‘anointed’ of known Men of God in history which are believed to have a high chance of materialization. However, this ideology is wrong, as everyone can achieve a miracle prayer and what they will be praying for will soon come. All you need to know is how to pray and then put your concerns in God’s hands. When is a miracle prayer made? There is no definite time for making a miracle prayer. However, there are some circumstances that force us to make those prayers. These circumstances are not the best of the best nor the happiest. You will have certain points in your life that you feel you cannot go on anymore. That’s when your prayer comes from the heart, with tears and sincerity. That’s when God pays more attention to your prayer. When you are at a breaking point and realize that you are not in control and that God is really in control that’s when your miracle prayer comes out. It’s when God sees that you understand that he is in control, not you. That is when your prayer goes further up in heaven. This prayer is what distinguishes others from those who have received their miracles. A miracle prayer is a prayer to God that ask the performance of unusual benevolent acts upon one’s life. This prayer usually asks God to come through in certain hard situations. 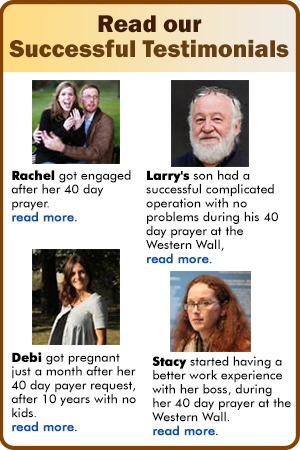 Miracle prayers, aren’t they ridiculous? Some of the people think that the idea of miracle prayers is a complete fallacy. Their position is misguided. Miracle prayers work and in some circumstances unexpectedly. For instance, if you are a needy student in high school and do not have sufficient sums of money to pay the fees, this prayer can turn out to be so helpful especially when the exams are about to be done. Miraculously, some anonymous person pays the fees. Isn’t that delicious? However, before making these prayers, there are some conditions which must be met. Seek God’s presence. God’s presence must be sought in truth and spirit for his miracles to be unleashed. Obey God’s commandments. Obedience is said to be next to Godliness. Just as a father cannot forsake an obedient child, God cannot.